Like niacinamide or benzoyl peroxide, salicylic acid is a hero ingredient in many anti-acne skincare products, which is why you've likely been using it for years if you're someone who struggles with chronic breakouts. What you might not know, however, is that it's not exclusive to anti-acne skincare. It's not even exclusive to skincare itself, as it's present in hair and bodycare products too. It all goes back to its exfoliating properties. You see, salicylic acid clears away dead skin cells and other pore-clogging impurities from the surface of the skin. This means it can alleviate acne, sure, but it also helps other skincare products penetrate deeper, provides important anti-inflammatory benefits, and smoothes and softens the texture of the skin. The science behind this salicylic acid—which is a compound derived from willow and meadowsweet plants—is actually fascinating. If these skincare benefits sound good to you (and why wouldn't they? ), then it might be time to include salicylic acid into your beauty routine. Keep scrolling to see the 15 best skincare, haircare, and bodycare products that contain salicylic acid. 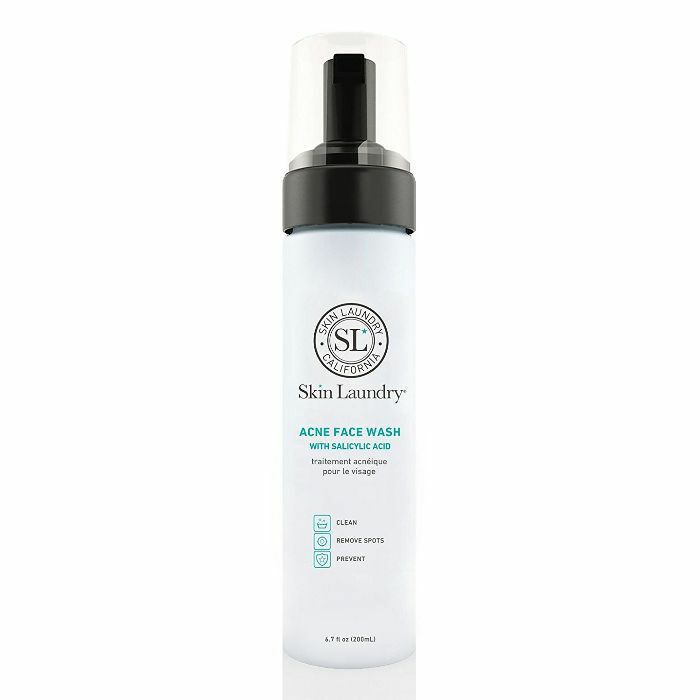 We also like Skin Laundry's salicylic acid face wash since it provides all the all-star ingredient's skin-clearing benefits while also soothing and calming red and inflamed skin with active botanicals like lilac stem cells and willow bark extract. Some people can find it drying, so make sure to apply a hydrating moisturizer after you use it (we have recommendations for that if you keep scrolling). Tata Harper is one of our favorite natural skincare brands (shout out to the Purifying Mask, $68, which is next-level). This cleanser contains physical and chemical exfoliants. First, there's apricot seed powder, which manually buffs away pore-clogging impurities as you massage it into your skin, while white willow bark, which is a natural salicylic acid, exfoliates, smoothes, and brightens the complexion. There are even pink clay and pomegranate enzymes to exfoliate even further. 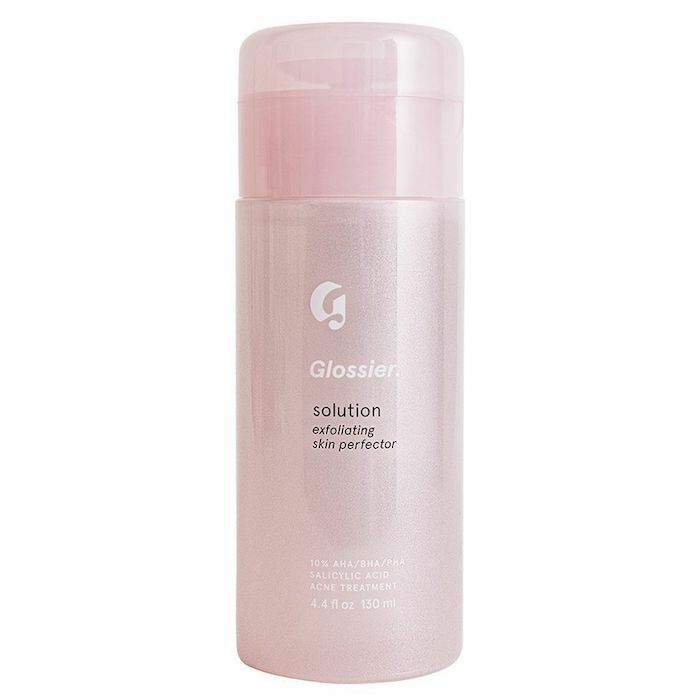 Glossier's new exfoliating treatment, called Solution, can be used as a post-cleanse toner. Simply press a cotton pad down on the pump and press it over your skin. The brand promises that smoother and clearer skin will result from the combination of three different acid groups (which include .5% salicylic acid). Based on before-and-after pictures and some glowing customer testimonies, we believe it. La Roche-Posay is a Byrdie-favorite French pharmacy brand that's now widely available at places like Target. The brand's toner uses a combination of glycolic acid and salicylic acid to clear and smooth problem skin. Take it from one reviewer who writes, "I've been using the Effaclar system for about eight months now and it's great. I have oily, acne-prone skin and this has cleared me up. If I go too long without using the system, I can feel my skin getting worse. 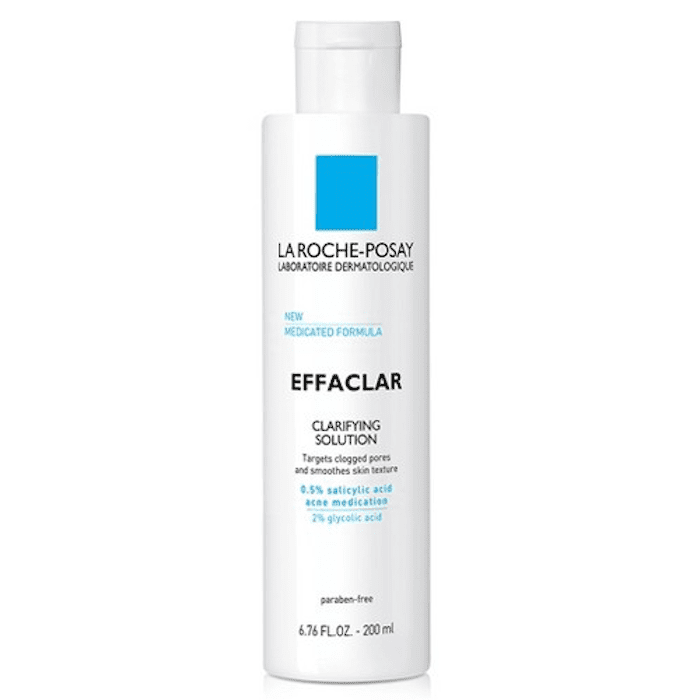 I use the clarifying solution after washing, and my face never feels dried out." 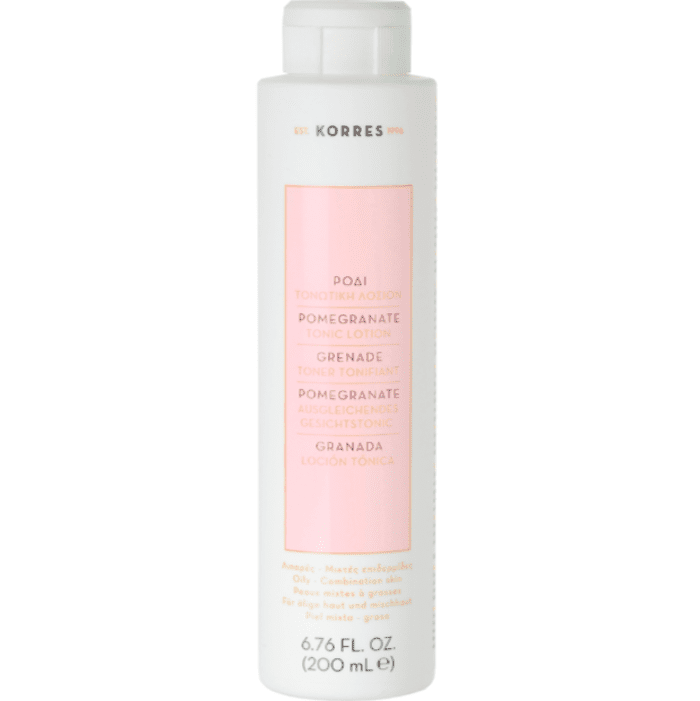 Although this Korres product is called a lotion, it's actually a post-cleanse toner. It's formulated with 15% pomegranate water, along with salicylic acid and other astringents, to minimize the appearance of pores and provide a clean matte finish to the skin. One Sephora reviewer writes, "I have combination skin, and this worked for me! I'll be on my third bottle. This one is a keeper. It is hydrating, smells pleasant, and is gentle yet effective at removing anything that was leftover (oiliness or dirt) from your cleansing step. It is rich in good stuff for your skin and is just overall refreshing! I highly recommend it." 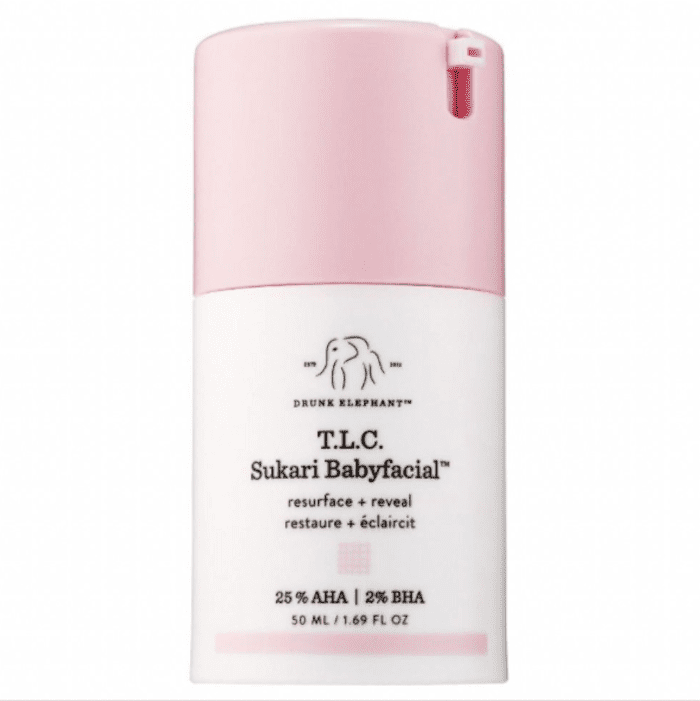 Drunk Elephant's Babyfacial is a cult-favorite product. It combines glycolic, tartaric, lactic, citric, and salicylic acids for an intensive exfoliating effect. Because of this, it's meant to be used only on occasion—definitely not every day. The brand recommends using it once per week as a face mask. It will reveal brighter, smoother skin after a few minutes. We can attest to its skin-transforming powers, as can the other 120,000 people who gave it a "love" on Sephora's website. "This stuff is amazing. My pores are smaller, my fine lines have diminished significantly, and my overall tone and texture have improved so much. I tell everyone I can about this magical stuff!" 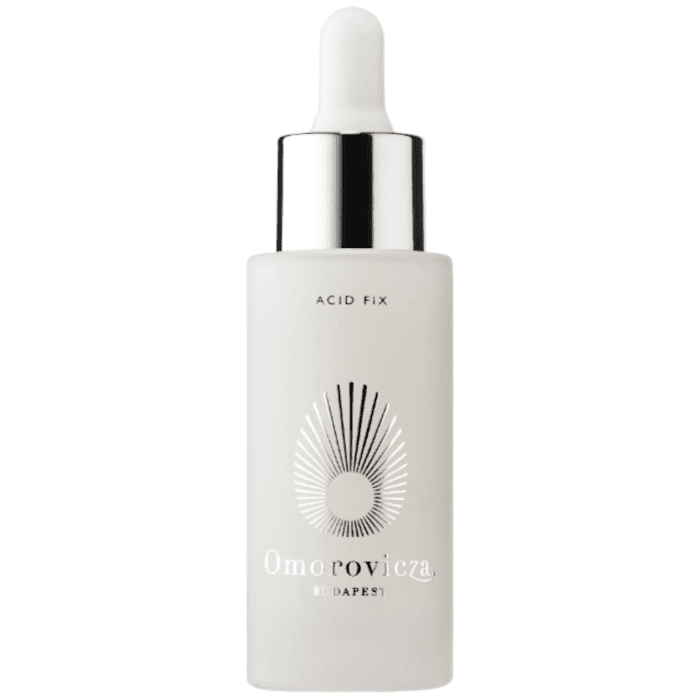 One of my personal favorite salicylic acid treatments is this one from Hungarian skincare brand Omorovicza. I use it two to three times per week. After cleansing, I add a few drops to my palms and then press it against my skin. Although it can prove to be a tad drying, it's nothing that my favorite hydrating moisturizer can't correct. Plus, the glowy, smooth, and clear results have kept me a loyal fan. One of my favorite ways to incorporate salicylic acid into my skincare routine is through peel pads. These can be used a couple of times per week to reveal a brighter, smoother complexion. This Cane + Austin pick is one of my favorites. Each of the 60 peel pads is soaked with a 2% salicylic and 10% glycolic acid solution for optimal effect. 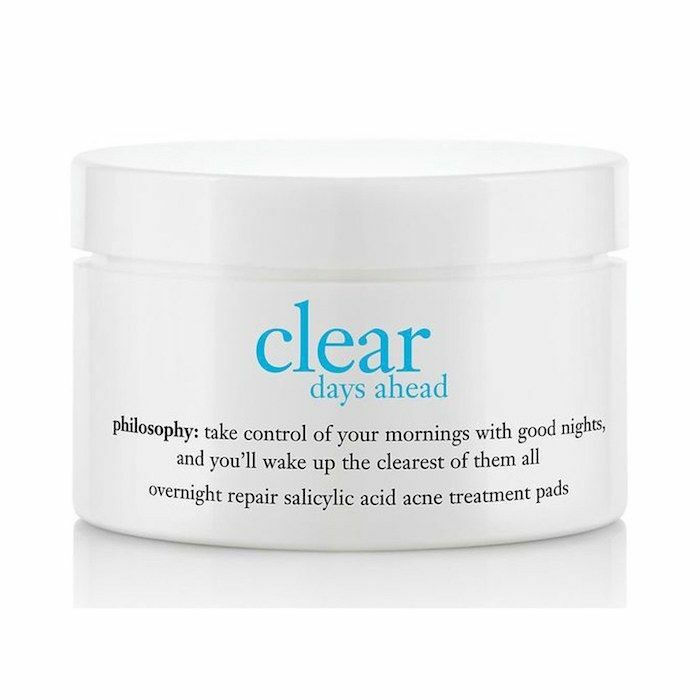 Another option is philosophy's overnight repair salicylic acid acne treatment pads. These are used in the same way. Simply swipe one of the individual pads around your face after cleansing and before moisturizing for a brightening, smoothing, and acne-alleviating effects. "Best product out there for acne-prone skin. I haven't had an obvious breakout since I started using these pads a couple months ago. Very hydrating too and great before bed!" 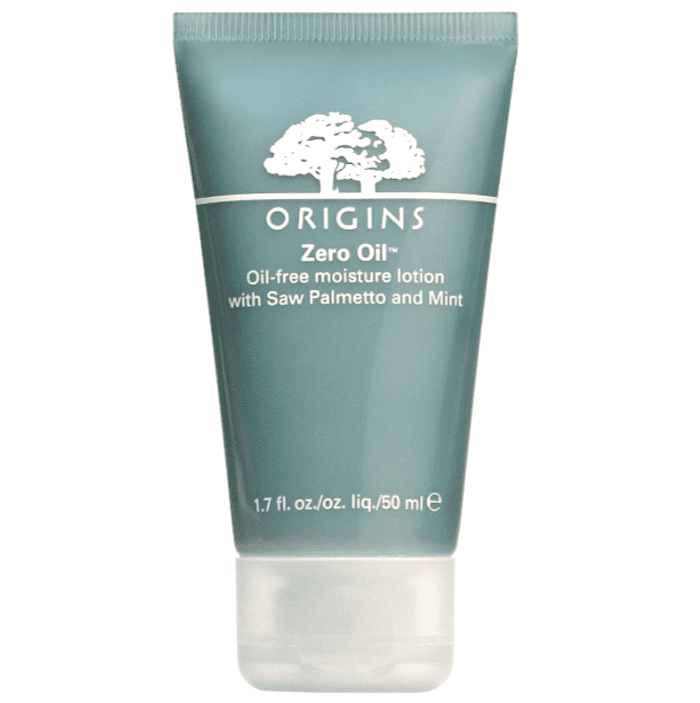 This Origins moisturizer provides a matte finish to the skin, which makes it helpful for anyone trying to keep oiliness and shine at bay (like some of us). According to one Sephora reviewer, this salicylic acid moisturizer is responsible for changing her skin. "I purchased this moisturizer after reading a review that mentioned using this along with Checks and Balances and Perfect World toner. Since I started using this routine a couple of weeks ago, my skin has improved dramatically. My redness is reduced, my hormonal acne disappeared, my skin looks brighter and smoother, and I think my pores are smaller. I love this routine and will be sharing with other members of my family!" 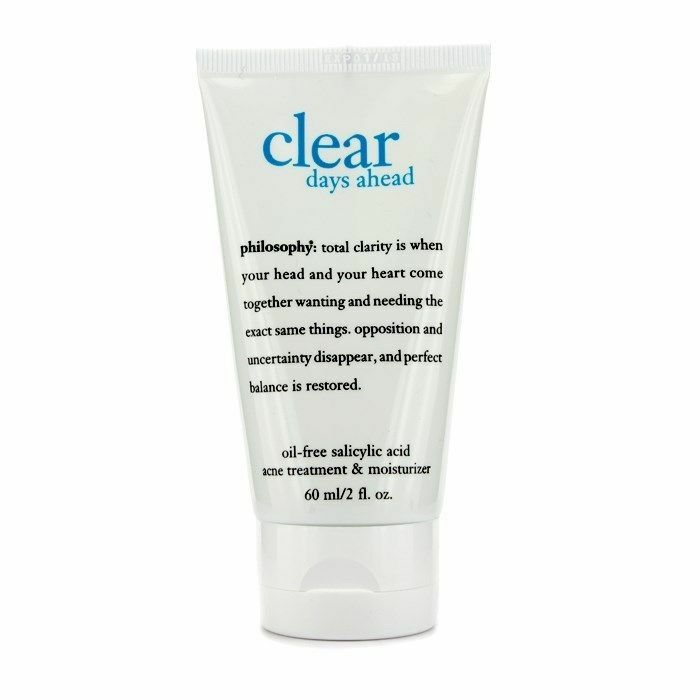 If you didn't catch it already, this moisturizer is from the very same product line as the aforementioned Clear Days Ahead peel pads. It's oil-free, like the Origins pick, and has salicylic acid to keep acne at bay. 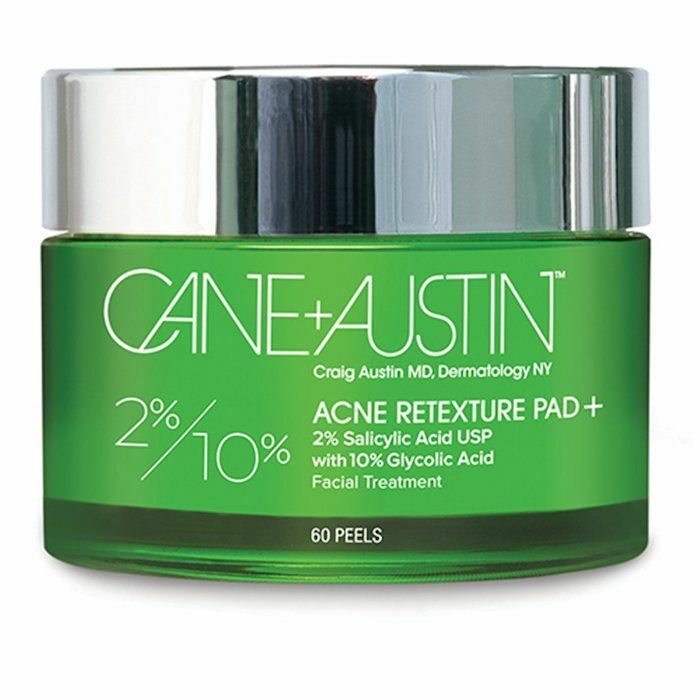 What's more is that it has an antimicrobial formula, which eliminates acne-causing bacteria from the surface of the skin (yes, please). Since salicylic acid effectively clears away dead cells from the surface of the skin, it makes for an excellent anti-dandruff ingredient. Even if you don't have obvious dandruff, it can help keep your scalp clear and healthy. 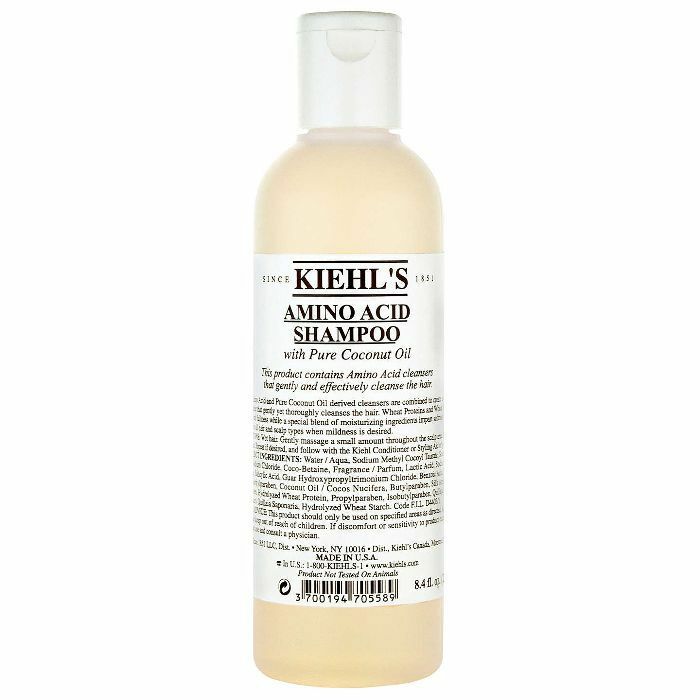 Look for it as an active ingredient in products like this Kiehl's Amino Acid Shampoo. It combines the dry skin–banishing acid with coconut oil to moisturize and hydrolyzed wheat protein to condition. 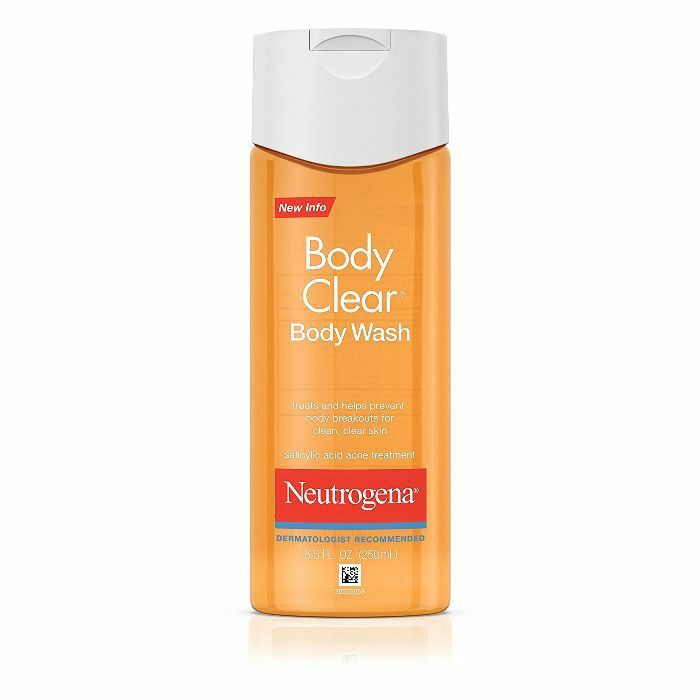 This Neutrogena bodywash has a high concentration of salicylic acid to discourage the formation of blemishes. 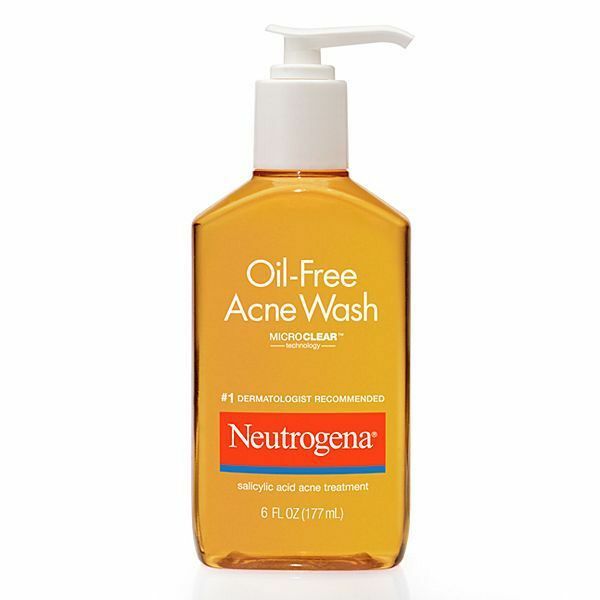 It's another product that made the list of best anti-acne bodywashes. We like it because it's inexpensive, easy to use, and leaves zero oily residue behind after rinsing. If you struggle with body acne, you can't go wrong choosing this drugstore classic. There's even salicylic acid in body lotion. 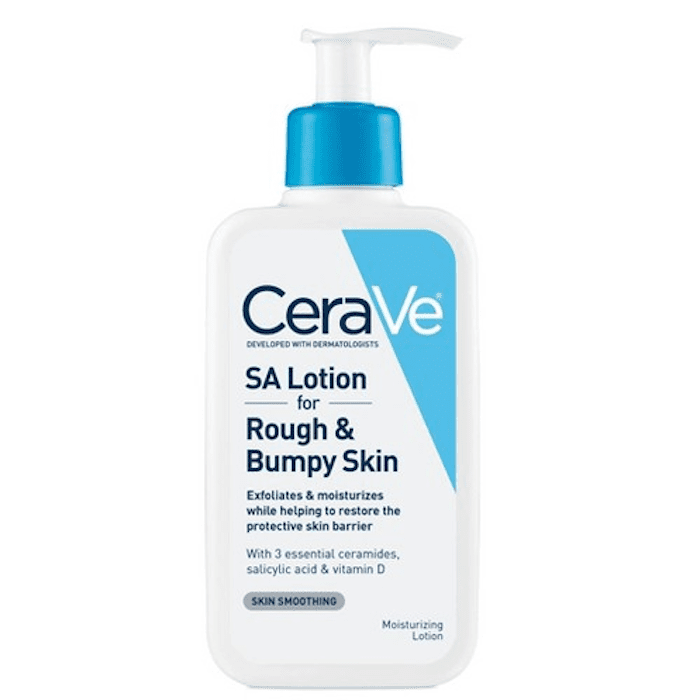 This one is formulated to soften and smooth rough and bumpy skin, whether that's on your legs, arms, or elbows. It can be applied daily on any of those areas so the salicylic acid, lactic acid, and ceramides can go to work smoothing, exfoliating, and moisturizing. It's even fragrance-free and hypoallergenic for people with sensitive skin. We have one final thought: Salicylic acid can be irritating to skin in high quantities, which is why it's always best to patch test before committing to a new skincare product. Also, because it's so effective at exfoliating, using various salicylic acid products at the same time will prove too harsh on your skin. That's why we don't suggest incorporating all of these into your beauty routine at once. Pick and choose which products will work best for you and, as always, keep the health of your skin in mind.